The Palestinian Health Ministry has reported that one Palestinian was moderately injured after the Israeli Air Force fires missiles into several sites run by the Al-Qassam Brigades, the armed wing of Hamas, in the Gaza Strip, causing damage. 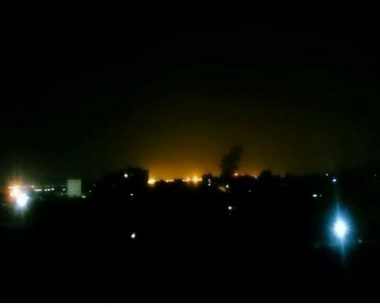 The Air Force fired three missiles at “Asqalan Camp,” in Beit Lahia in the northern part of the Gaza Strip, causing serious damage, in addition to causing damage to homes in the area. The army also fired two missiles at another site in the Sudaniyya area, west of Gaza city, causing damage. The Palestinian Health Ministry said one Palestinian was injured due to the Israeli bombardment in northern Gaza, and was rushed to the Indonesian Hospital.